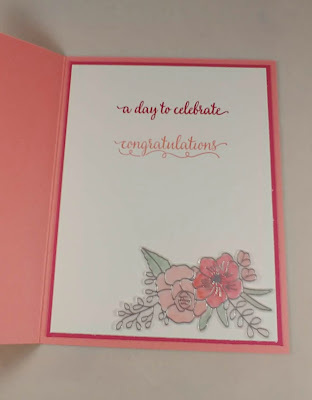 Last wedding card for the week! I might make one wedding card a year so this was a challenge for me! 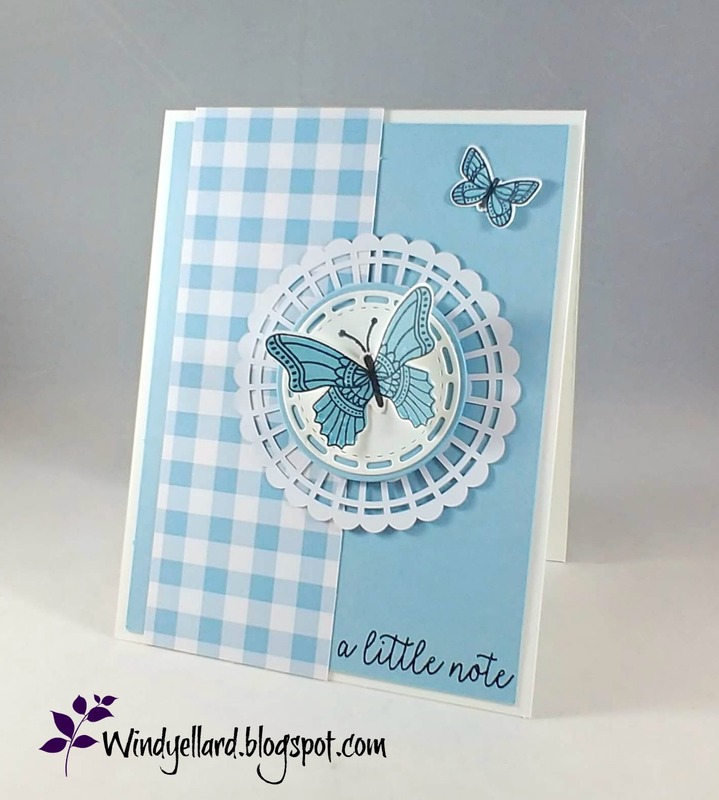 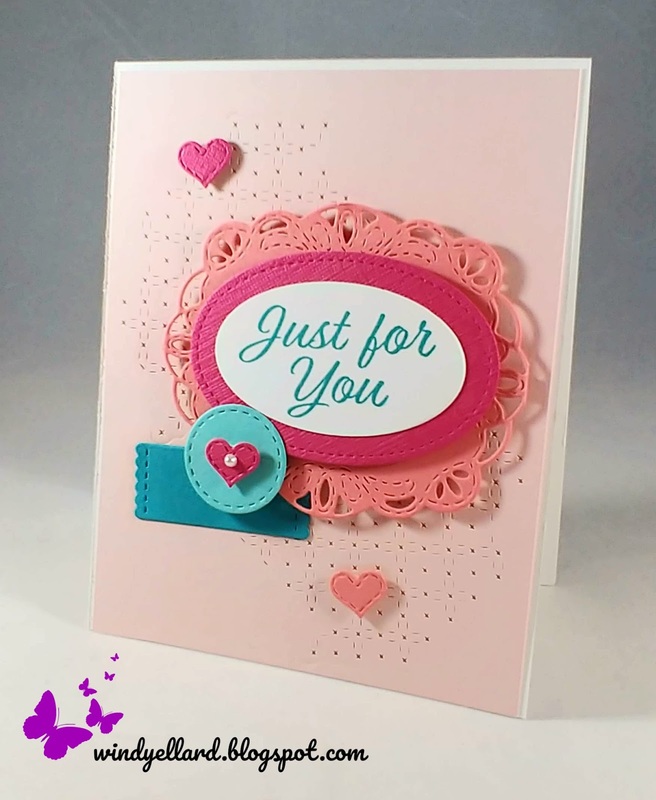 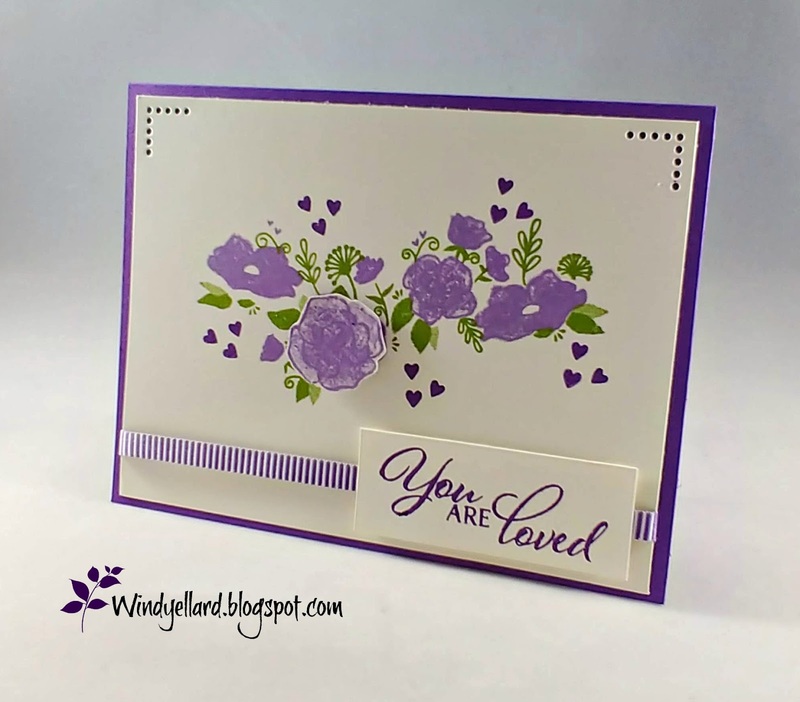 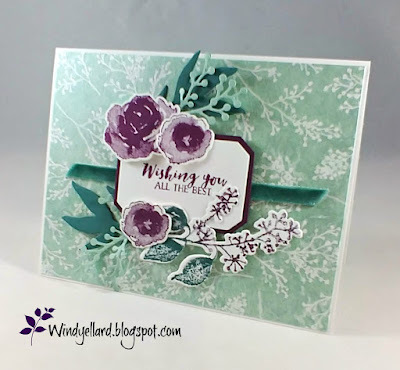 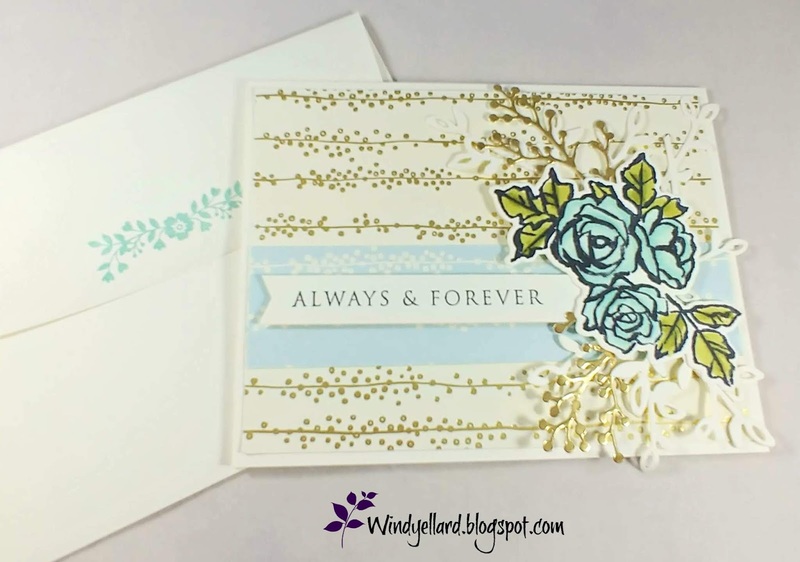 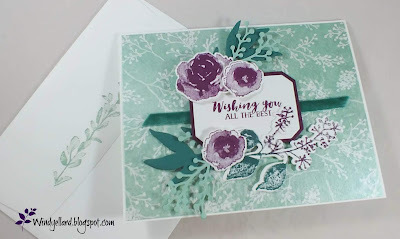 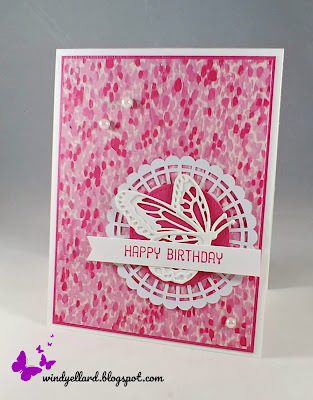 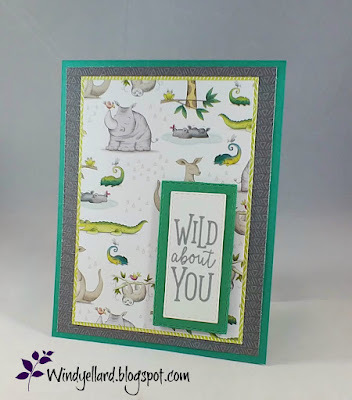 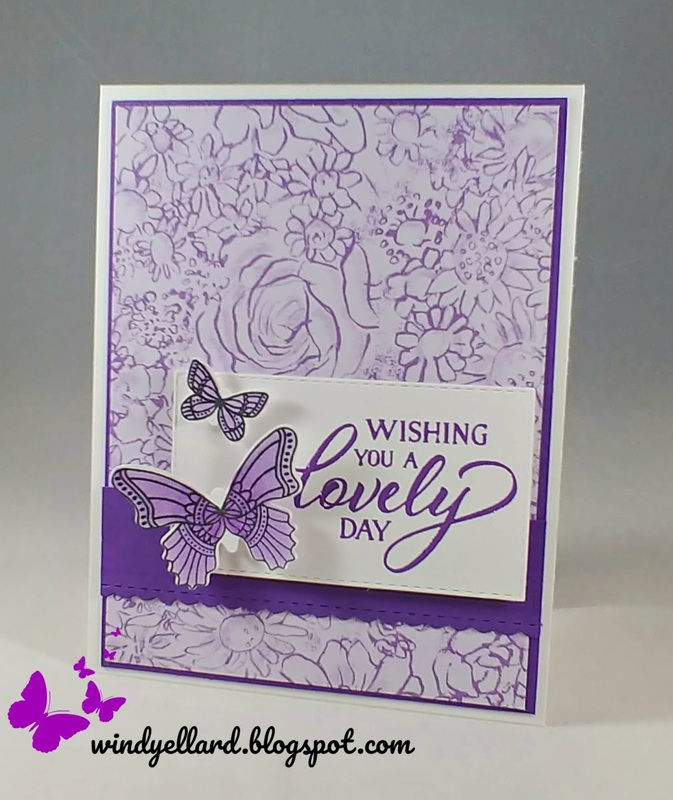 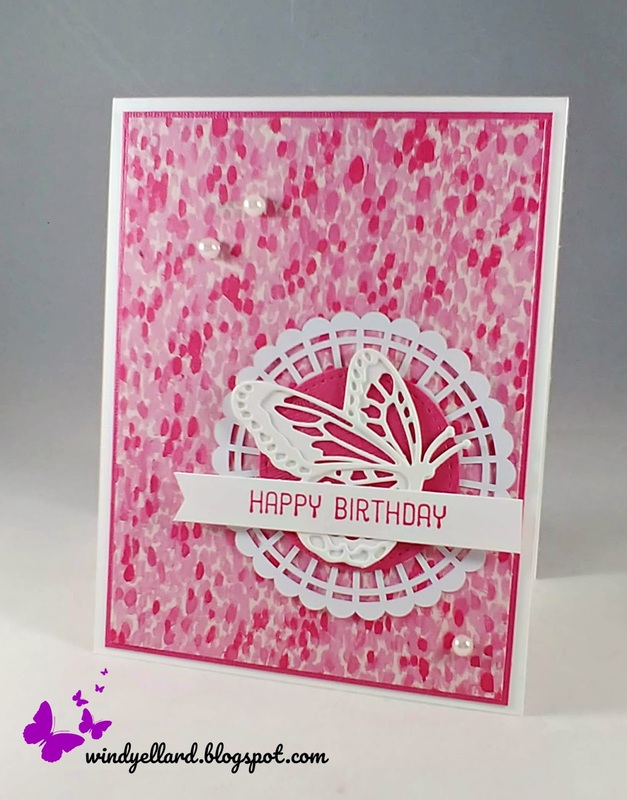 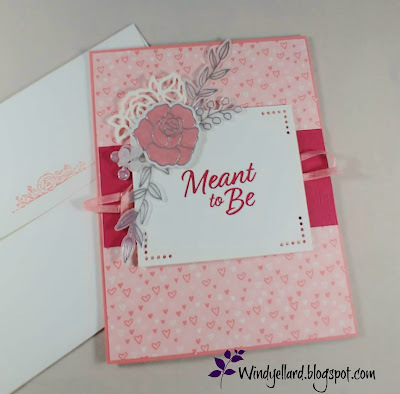 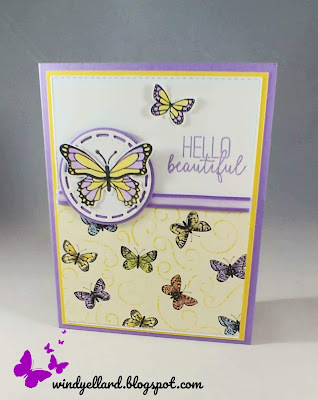 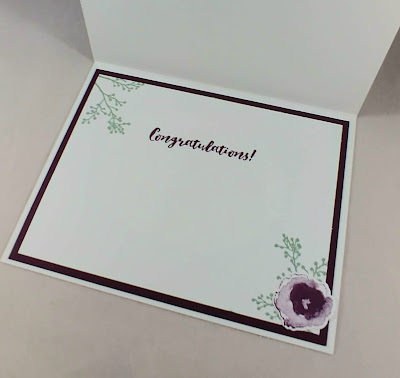 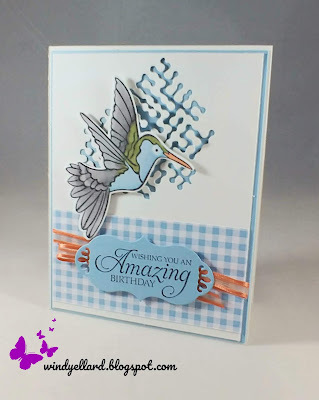 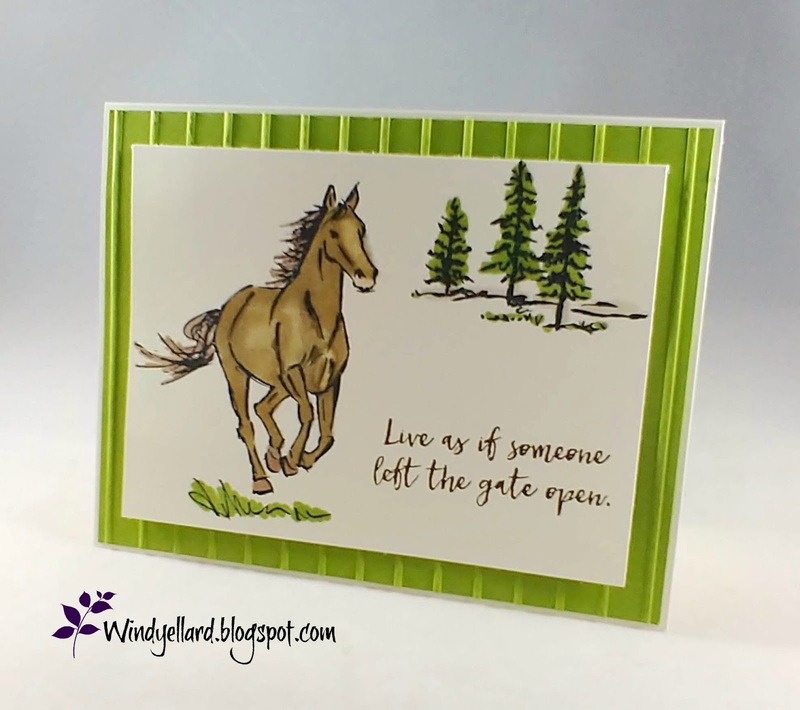 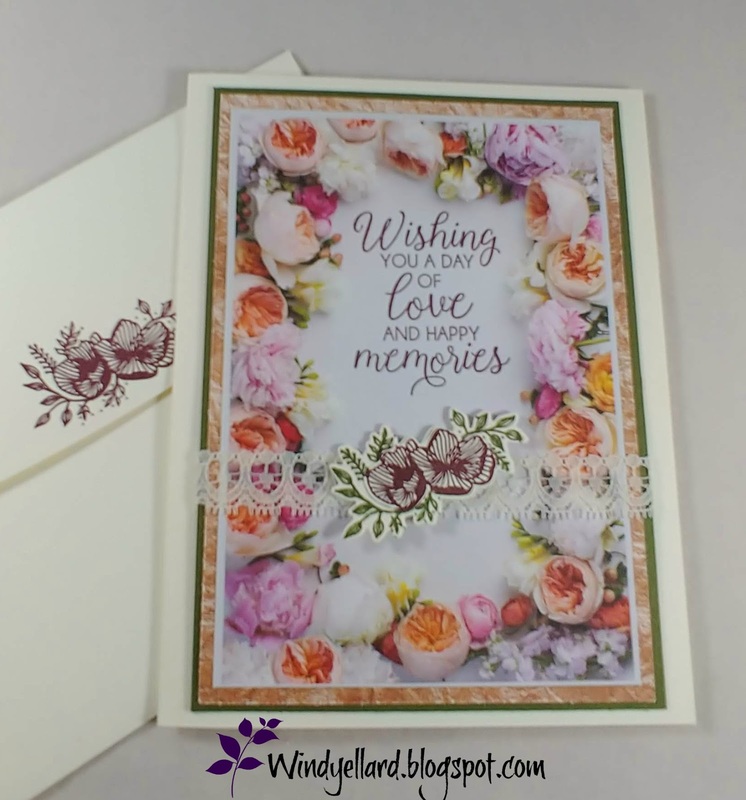 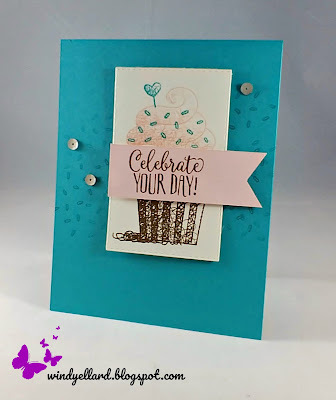 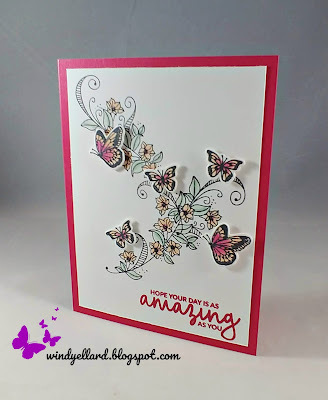 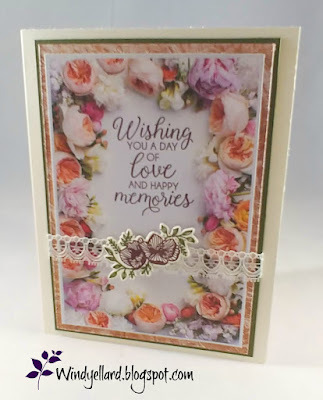 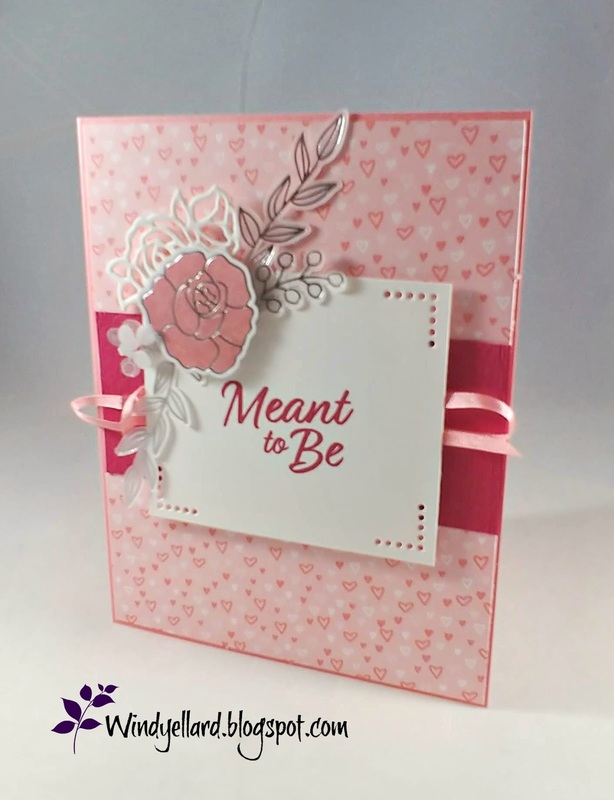 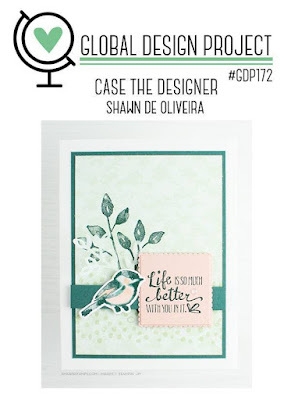 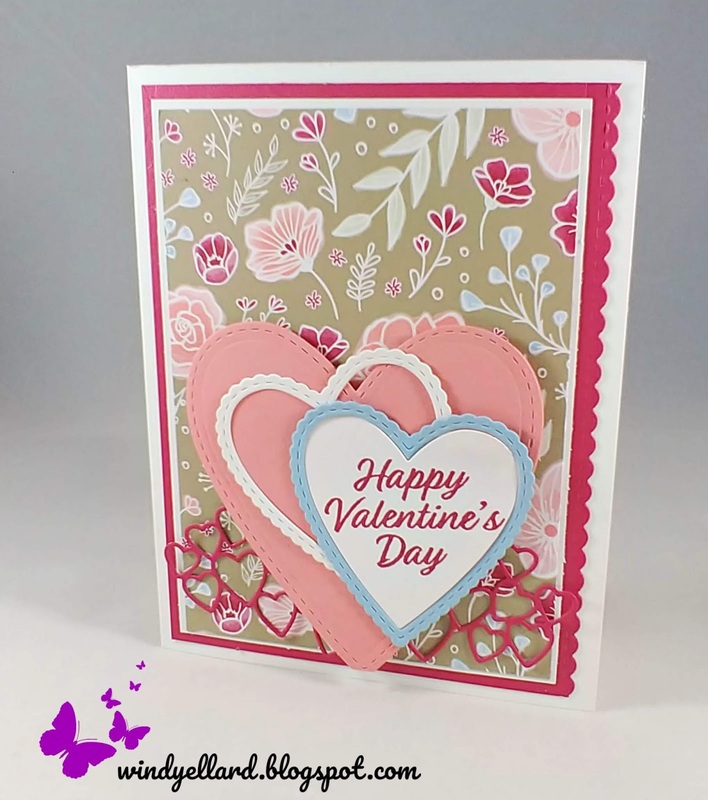 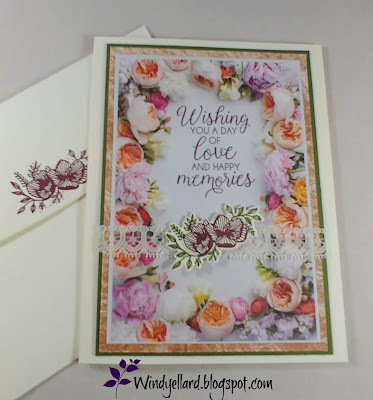 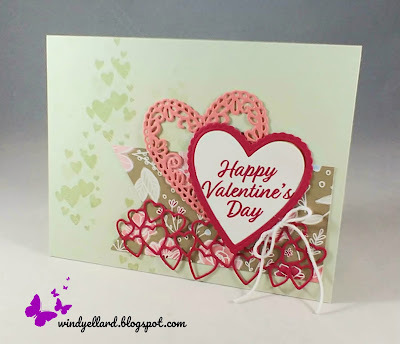 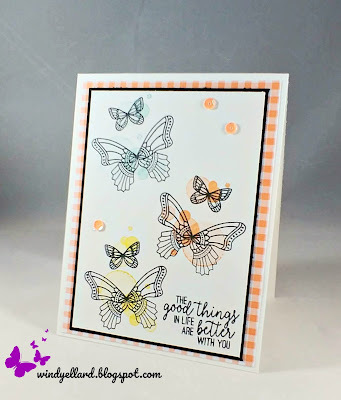 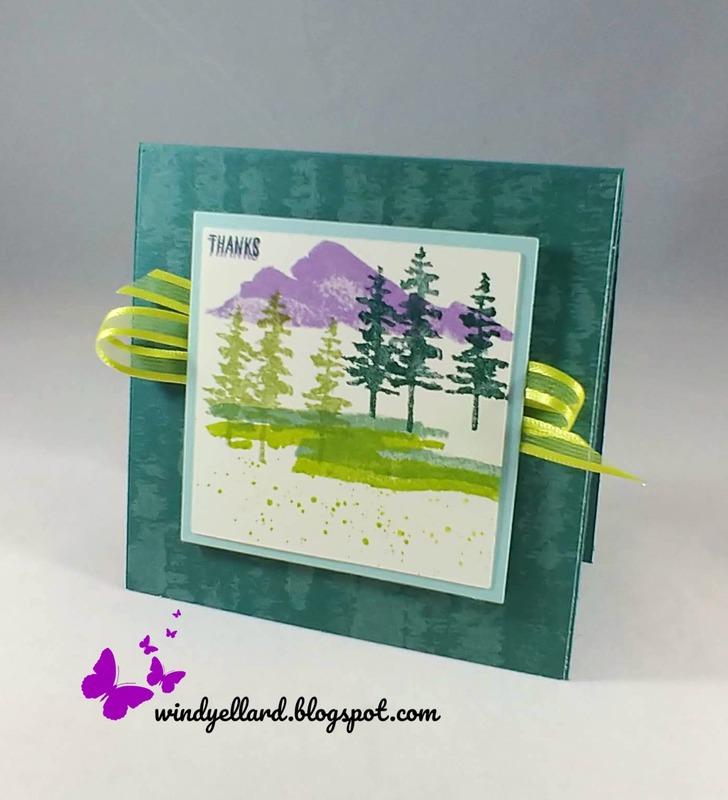 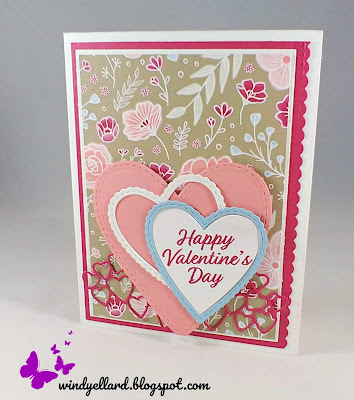 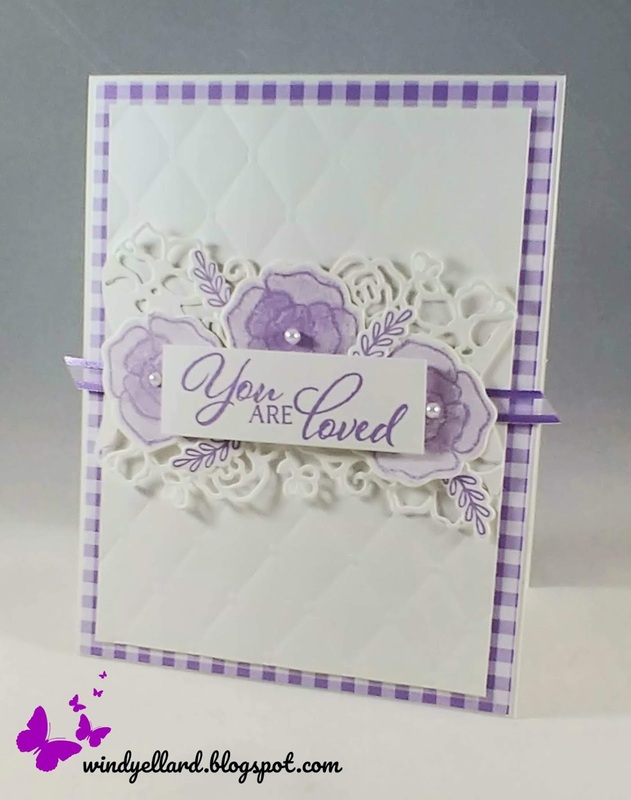 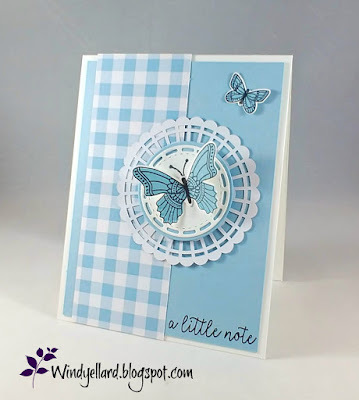 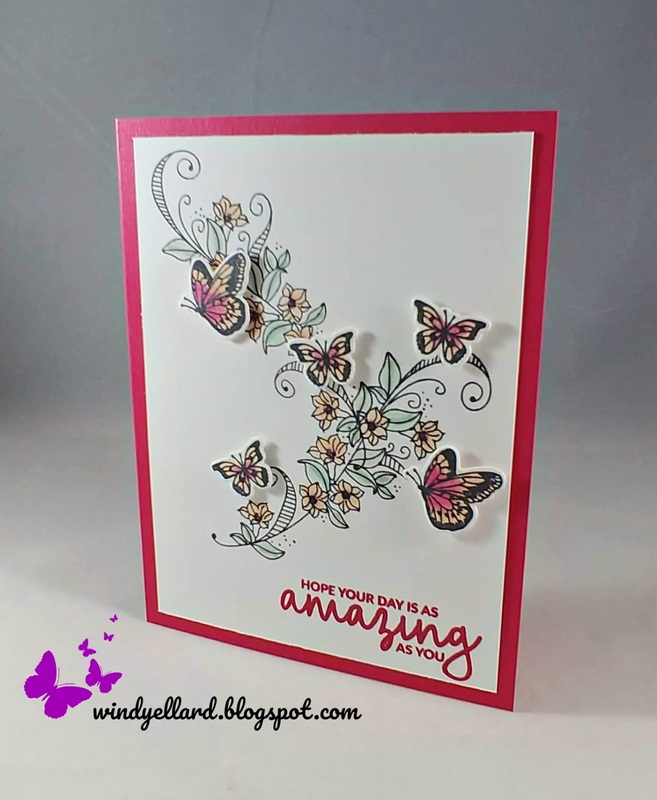 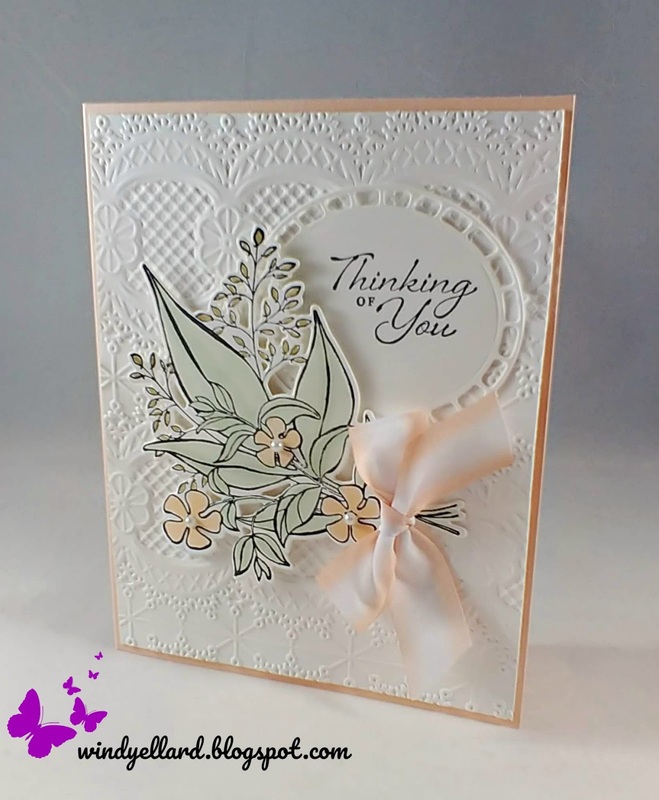 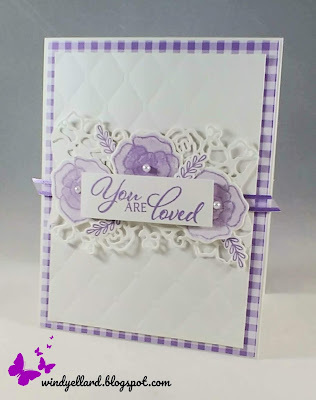 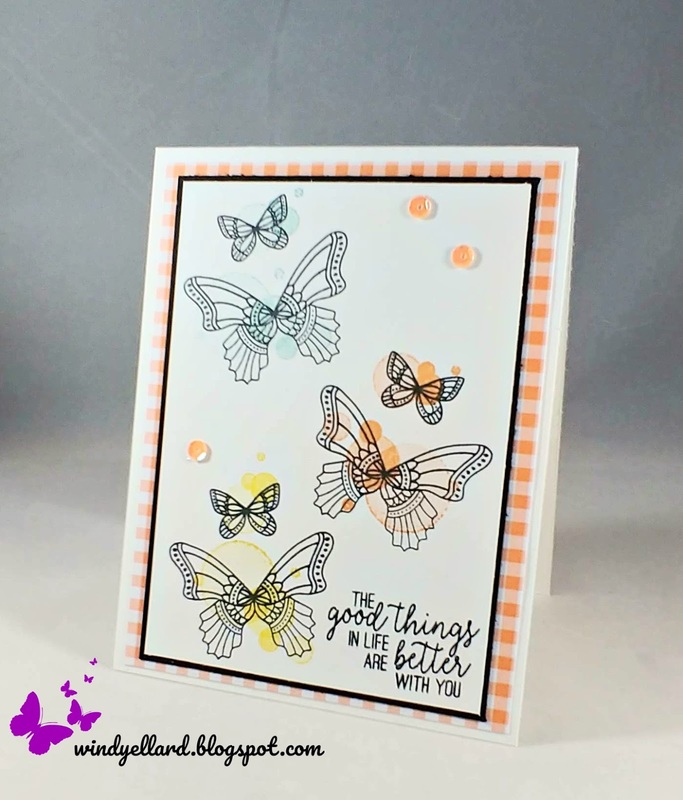 I used the lovely Petal Palette set and matching dies for this card. would come in handy sometime. 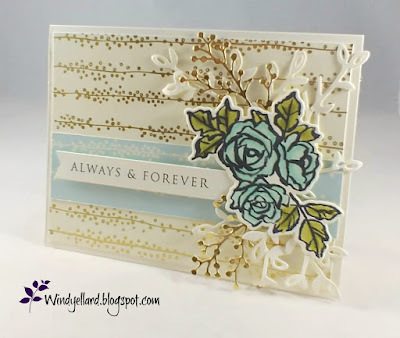 and has Very Vanilla and gold running through it. 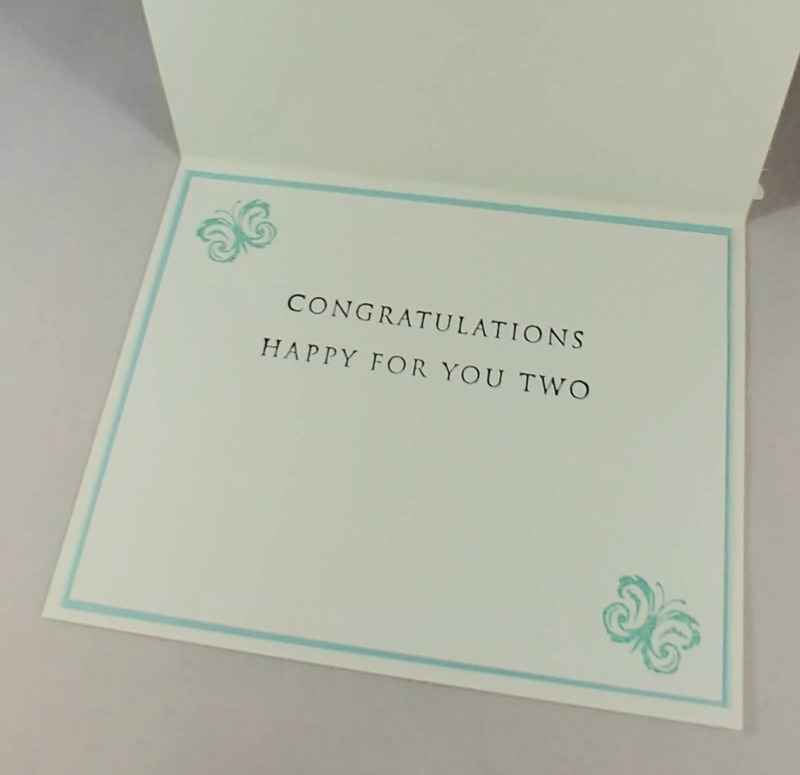 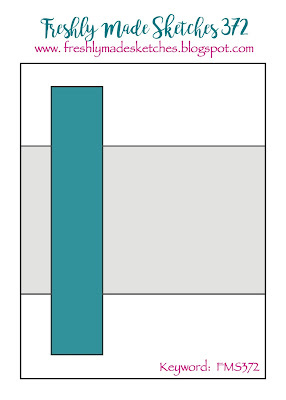 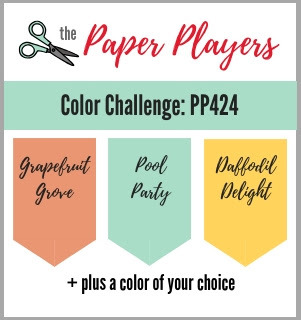 another piece of this paper in blue across the front. 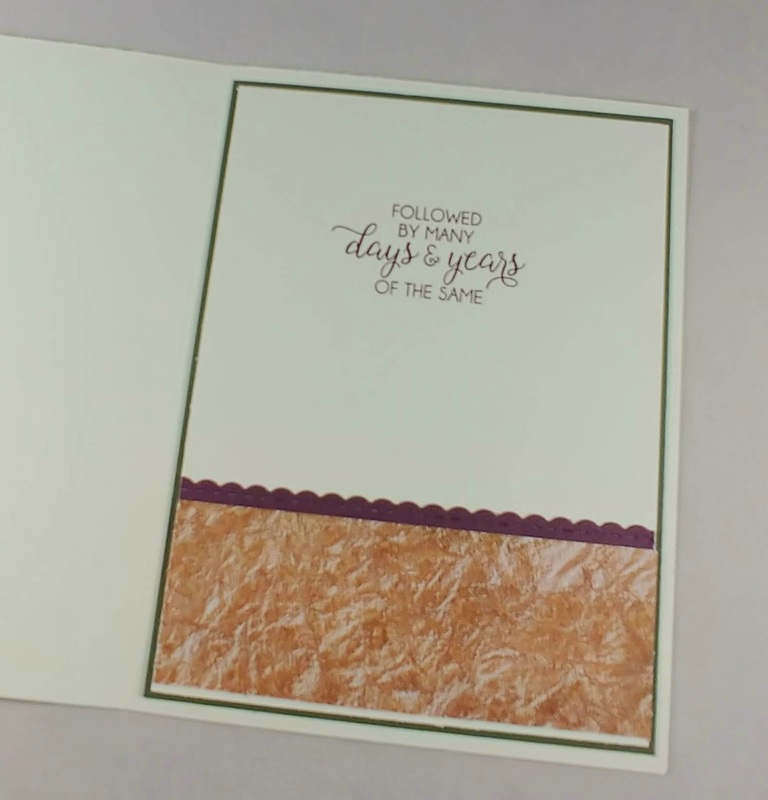 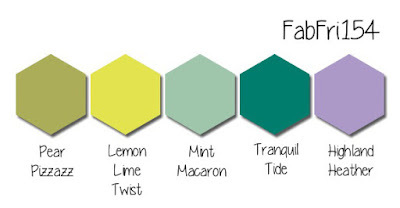 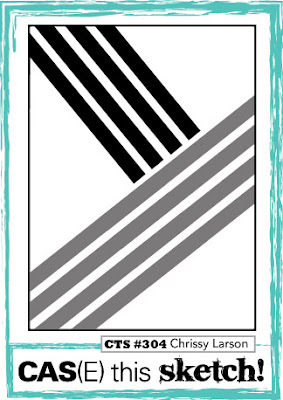 Old Olive stampin blends markers. 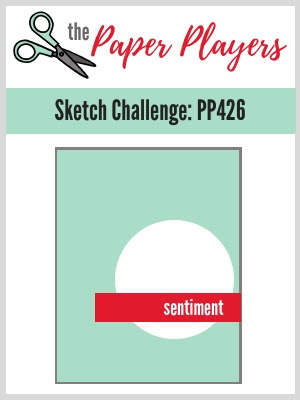 with the matching dies called Petals & More. Playing around with the new bundle called Forever Lovely. I needed to do it in purple- well wanted to do it in purple! 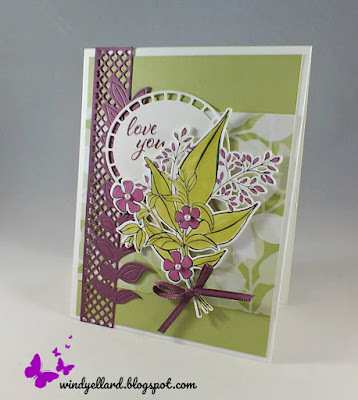 Very Vanilla background on a piece of Gorgeous Grape for the base. 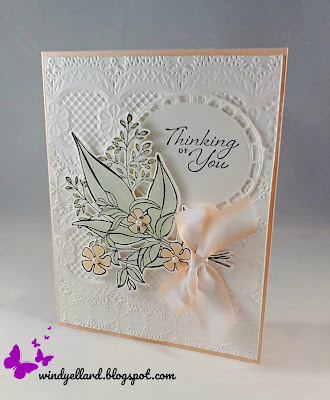 I pooped up a flower and the sentiment also in Vanilla.